Home > News > Bus, meet train. 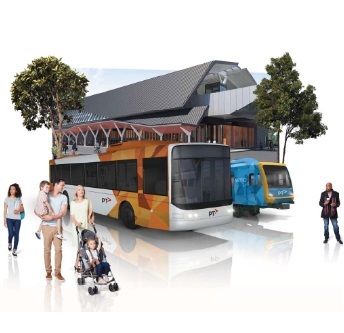 From Sunday 26 August the Plenty Valley bus network is changing to give you better connections with trains on the new Mernda Line. Buses will connect to three new stations at Middle Gorge, Hawkstowe and Mernda, with close to a thousand train services running each week. From the new bus interchange at Mernda you can catch routes 381, 382, 385, 386, 387, 388 and 389. Route 383 will connect with trains at Middle Gorge Station. Catch routes 382 and 387 to get to Hawkstowe Station. For More information, view the detailed campaign in PDF.